Aliko Dangote has revealed that he once withdrew $10 million just to prove to himself that he was rich. 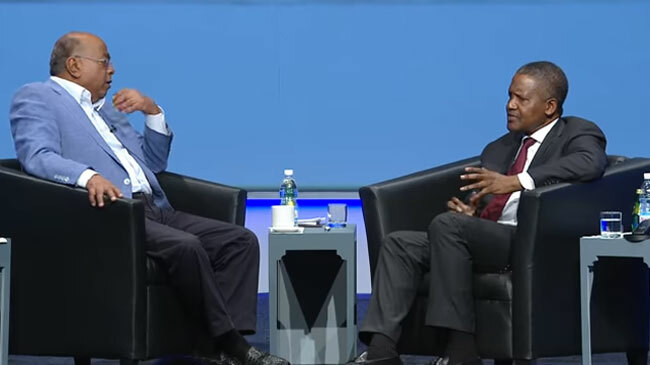 Dangote who is Africa’s richest man revealed this on Saturday, April 6, at the Mo Ibrahim governance weekend in Abidjan, while he was chatting with the convener, Mo Ibrahim. Dangote said, “The way it is that when you first start a business, your target is to make your first million. Fine, I did that. Meanwhile, the Chief Executive Officer of Dangote Group, Aliko Dangote, has called on governors in Northern Nigeria to do more in mobilizing local private sector investors in their states. 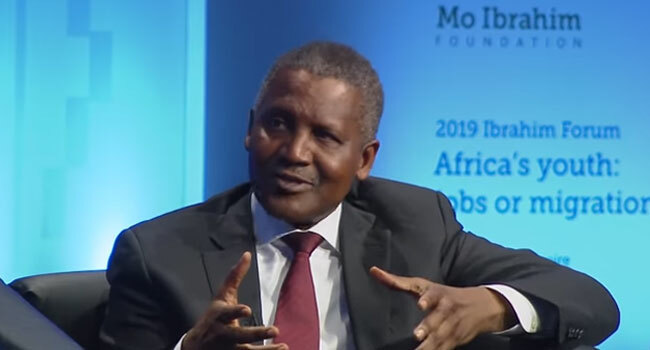 Dangote made the call at the Kaduna Economic and investment summit on Wednesday, where he stated that such a move can spur huge inflow of private capital, reduce insecurity, unemployment, and poverty. “Northern Nigeria will continue to fall behind if the respective state government does not move to close the development gap. Closing these gaps requires huge multi-year investment and the government will not be able to raise the capital required to fund this. Only the private sector can raise the capital required to fund the level of investment this country needs.